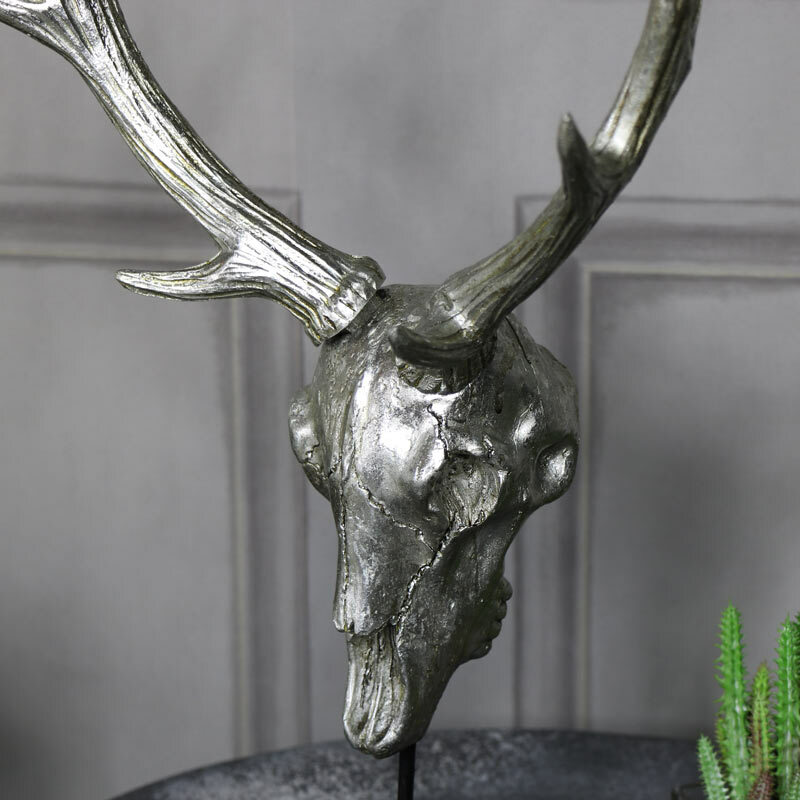 Transorm any space or interior with this eye catching stag's skull. Stand out silver finish and mounted on a plinth. This will make a fabulous statement. This is a great way of adding a rustic country theme with a bit of a twist. 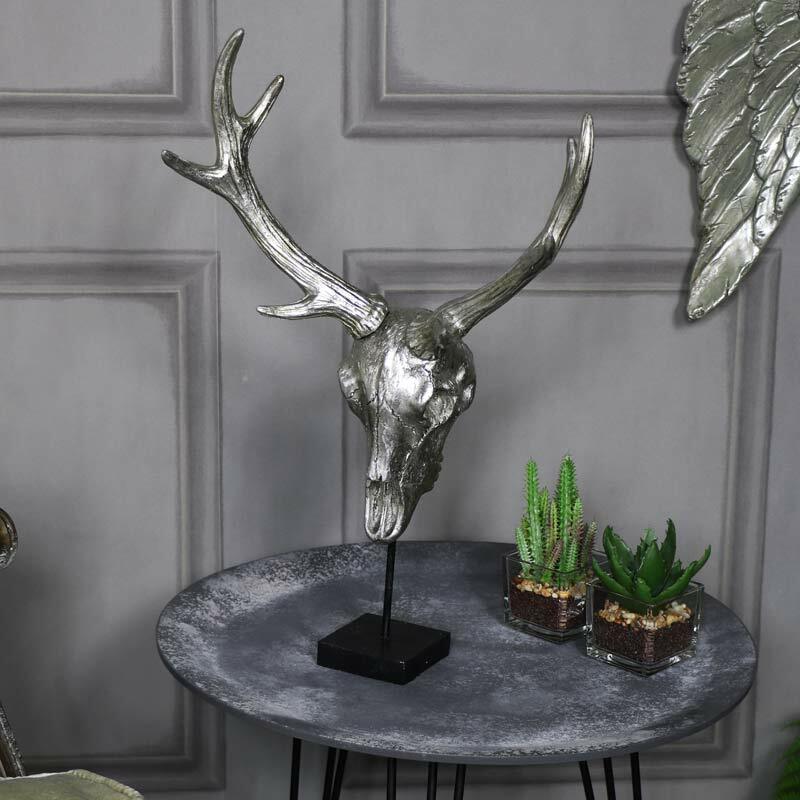 This is a great addition to our range of animal heads that are a much more friendly way to add that safari or country lodge look to your home. With plenty more wall mounted animal heads for you to choose from. Crafted from resin in a distressed silver finish and mounted on a small black square plinth. This would be a great gift idea for family or friends.